If you want value for money, nowhere will you find more of it than in the luxury segment - something the Audi A8 demonstrates only too well. Available at astonishingly low prices, the A8 offers everything at ridiculously low prices - and running costs needn't be high either. Offered with some fantastic engines, including some amazingly frugal diesels, the A8's aluminium construction helps when it comes to agility and fuel efficiency, while the standard fitment of quattro four-wheel drive also ensures the A8 is more sure-footed than most rivals too. What's not to like? 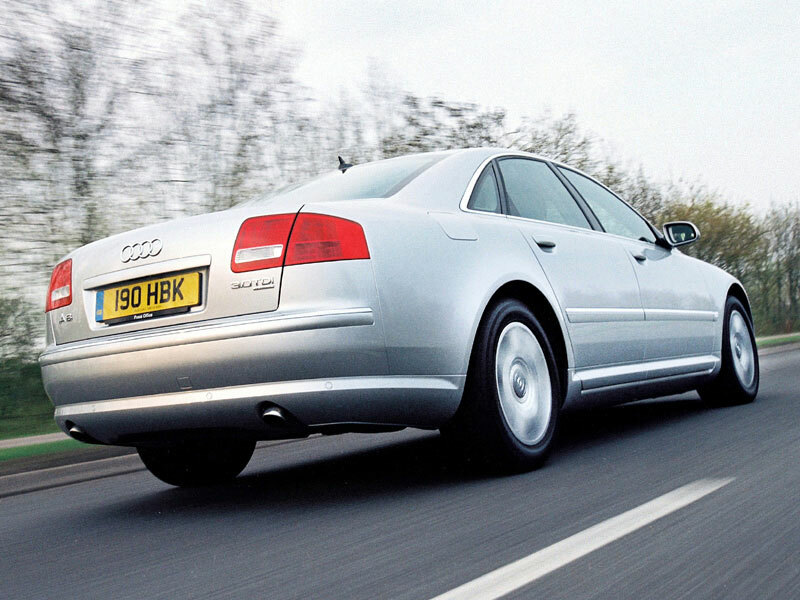 7/03: The second-generation A8 arrives, with 3.7 or 4.2 V8 petrol engines, or a 4.0 V8 turbodiesel. 4/04: There are now 3.0-litre petrol and diesel options plus a 6.0 W12 short-wheelbase A8. 3/05: All cars get extra standard kit, plus the full-depth grille of the W12. 6/05: There's now a 3.2 FSi engine available, along with a long-wheelbase option for most engines. A 4.2 V8 TDi supersedes the previous 4.2 unit. There's a lot of electrical and electronic kit fitted, so make sure it all works - even the bits that aren't immediately obvious. The electric boot lids are especially temperamental, so try opening and closing the boot a few time. The MMI is also particularly prone to glitches, but it can be rebooted.